I Have To Return To The Colorado River! It Was The Best Life Experience. 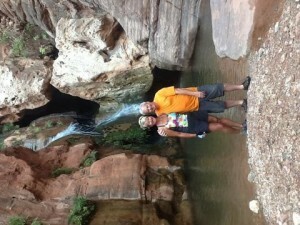 I planned this whitewater rafting trip on the Colorado River in the Grand Canyon for 11 months. I had a lot of time to get excited and I had very high expectations. These feelings and expectations were surpassed from Day 1. 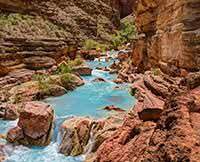 The beauty of the Colorado River cannot be explained, it needs to be experienced. The fun of the rapids, whether you are sucking rubber or in the chicken coop is pure joy. A group of strangers quickly became a well oiled machine and developed friendships that will be remembered. I cannot say enough about our Western River guides; Mark, Kurt, Grace & Tony. Their love of the river shines in all they do. They provide amazing meals 3 times a day. They are invested in making sure you feel comfortable and have a great time. I thought this would be a once in a lifetime opportunity.....it can't...I must and will return. I miss it all!